Pakistani Finance Minister Ishaq Dar said that China-proposed Asia Infrastructure Investment Bank (AIIB) has a great potential to lure bulks of infrastructure funding worldwide to benefit the whole Asia. 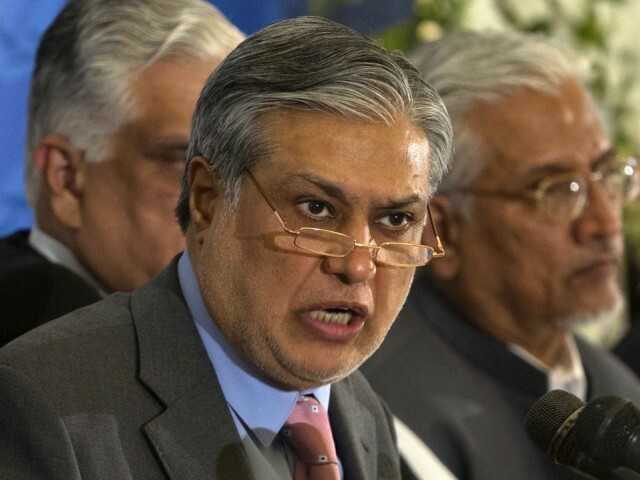 Ishaq Dar made these remarks during a short interview with a Chinese news agency on the sidelines of a joint media briefing of Pakistan and the International Monetary Fund (IMF) on Friday. Pakistan is a founding member of the AIIB, and is looking forward to working closely together with the bank, he said. “Asia has an appetite for around 70 percent of the world’s available infrastructure funding, but the region gets only 30 percent. Therefore, Pakistan expects the AIIB to be complementary in order to meet the availability of global funding and to reduce the demand gap for the funding,” he added. Earlier in the year, Masood Ahmed, the IMF director Middle East and Central Asia, said the IMF welcomed the formation of the AIIB. Ahmed, a Pakistani economist, ruled out that the AIIB would pose a threat to the influence of his Washington-based international organisation in the Middle East and Central Asia region. “We welcome the AIIB to provide financing to countries which are in need of investments in their infrastructure,” Ahmed said. He pointed out that the IMF, which has 188 member states, and the AIIB follow different purposes albeit that both institutions provide loans. “Unlike the AIIB, the IMF does not provide financing for infrastructure in East Asia and Central Asia and other parts of the world,” he said. The AIIB was first proposed by Chinese President Xi Jinping in October 2013. A year later, 21 Asian nations, including China, India, Malaysia, Pakistan and Singapore, signed an agreement to establish the bank. The fledgling bank now has 57 founding members. It will have authorized capital of 100 billion dollars. Asian countries will contribute up to 75 percent of the total capital and be allocated a share of the quota based on their economic size.